The Congressional Budget Office released its 2017 Long-Term Budget Outlook this week, several months ahead of its usual schedule, which is typically published every July. The most interesting part of the new long-term budget outlook appears in the report’s appendix, where the CBO’s analysts illustrate how their new outlook for the publicly held portion of the U.S. national debt and the U.S. government’s projected deficits has changed since their 2016 Long-Term Budget Outlook was published back on July 12, 2016. 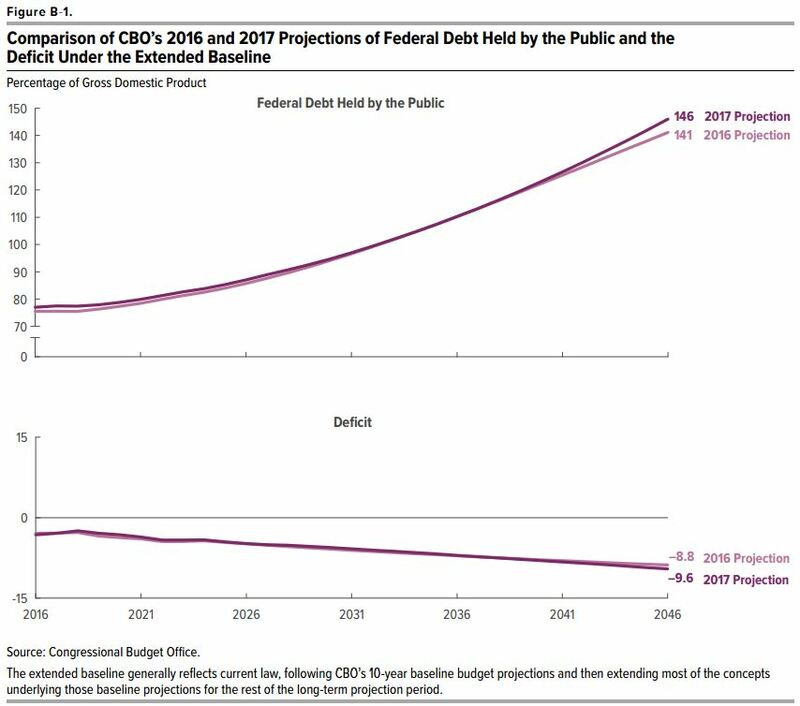 Federal debt held by the public is now projected to reach 150 percent of GDP in 2047; in January, CBO projected it would reach 145 percent in that year. That change primarily reflects higher projected total outlays toward the end of the 30-year period. In addition to the CBO’s expectation of higher-than-previously-expected government spending, the change also reflects the agency’s belief that the U.S. economy will grow more slowly than previously expected, and also that the net interest rates the U.S. government pays to its creditors will exceed their projections from last year. In the report, the CBO has also projected that Social Security’s combined Old Age and Survivors’ Insurance and Disability Insurance trust funds will be fully depleted in 2030, one year earlier than they had previously indicated, which is only 13 years from now. Last year, Social Security’s trustees reported that they expect the trust funds to be fully depleted in 2034, at which time all recipients of Social Security benefits will see their pension and disability payments reduced by about one-quarter (25%). A large and continuously growing federal debt would increase the chance of a fiscal crisis in the United States. Specifically, investors might become less willing to finance federal borrowing unless they were compensated with high returns. If so, interest rates on federal debt would rise abruptly, dramatically increasing the cost of government borrowing. That increase would reduce the market value of outstanding government securities, and investors could lose money. 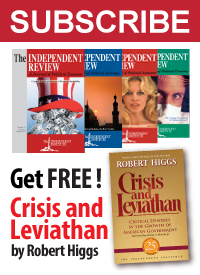 The resulting losses for mutual funds, pension funds, insurance companies, banks, and other holders of government debt might be large enough to cause some financial institutions to fail, creating a fiscal crisis. An additional result would be a higher cost for private-sector borrowing because uncertainty about the government’s responses could reduce confidence in the viability of private-sector enterprises. At this point, it is important to note that the CBO is not considering any changes in federal spending that might result from President Trump’s fiscal policies. Their baseline assumption is that federal spending policies will continue the pace established during President Obama’s administration. 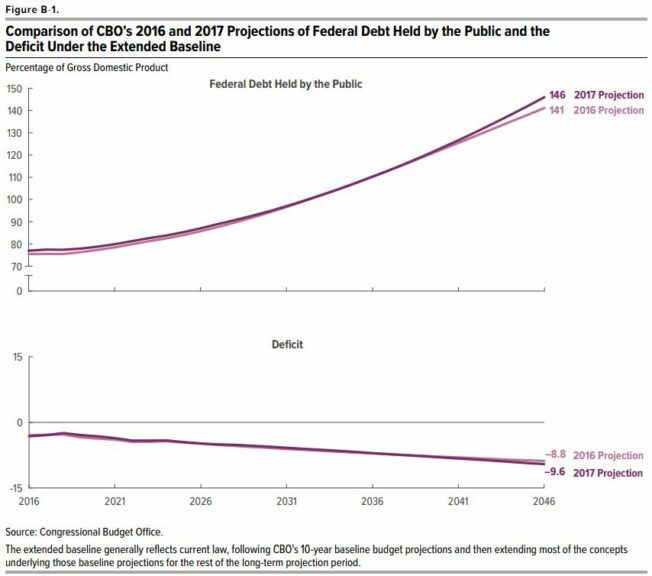 Time will tell how seriously federal politicians and bureaucrats take the CBO’s worsening long-term outlook for the U.S. fiscal situation.